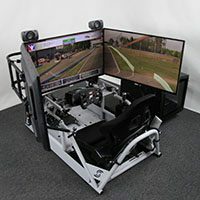 The APEX3 GTS features SimCraft’s 3DOF motion system with roll, pitch, and yaw which allows you to feel the limit of adhesion, understeer/oversteer, terrain changes such as hills, banking, curbing, bumps, camber, and both left/right and fore/aft weight transfer in a motion simulator like you have never felt in a sim. 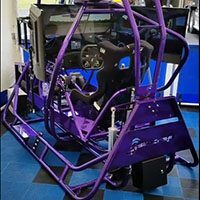 Built from the ground up for its intended purpose, the APEX product line from SimCraft is an extensive elite-quality racing simulator class, with price and performance models up and down the entire line. 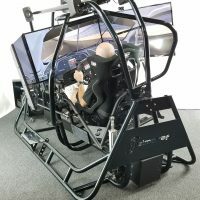 With proprietary motion simulation technology unlike any other on the market and in development for nearly two decades. 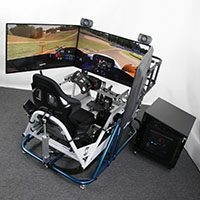 SimCraft’s proprietary motion technology in APEX form is the choice of many professional drivers and teams: The professionals agree, physics matter. 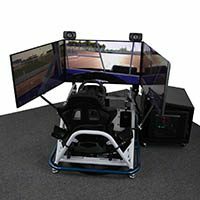 The APEX motorsport simulator line from SimCraft features the stiffest and most advanced chassis designs with the highest fidelity motion technology for motorsport training. A complete package which includes a full system, optionally installed, warrantied, and supported. 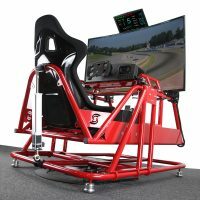 High-fidelity motion with SimCraft’s proprietary physics based technology allows for unsurpassed performance and feel. 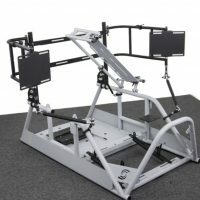 The APEX3 GTC features a super-strong, lightweight, TIG/MIG welded, tubular DOM and carbon steel framework creating the stiffest chassis design. 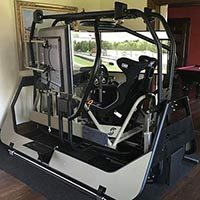 Its strength and stability allow for unmatched performance and a higher standard in durability and incredible longevity with a LIFETIME WARRANTY. 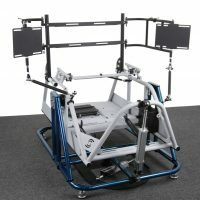 Incorporating a decade of chassis development, the APEX3 GTC features a double-wishbone design with optimized geometry and a powder coated finish in dozens of colors. 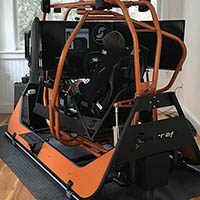 It also has full cockpit versatility with adjustability of the seat, visuals, audio, wheel, pedals, and shifters. 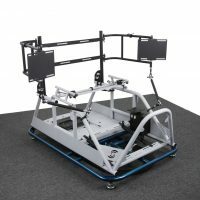 This product comes with a Limited Lifetime full part replacement warranty on the chassis and an extended three year warranty on the actuators. 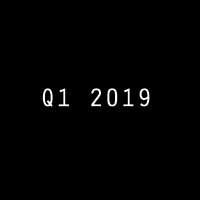 Installation services are available outside the USA.